Most businesses understand the value of strong copywriting. Well-written content welcomes prospects to your website, conveys your brand voice and values, builds valuable relationships with your customers, and sells your products. Good content is more than just an add-on; it’s a necessity. But when it comes to the return on investment (ROI), business owners can be at a loss. How do you measure the ROI of copywriting? In the article below, we’ll be looking at not only why copywriting ROI is a concept you need to embrace, but also how copywriting ROI can be analyzed. When it comes to copywriting ROI, email copy is a good place to start. With email copywriting, there are lots of things you can test and optimize. You could send out two versions of the same email to different segments of your email list, varying details such as subject lines, and then test the open rates and the resulting sales. This is called split testing or A/B testing, and it’s a great way of optimizing your email campaign performance and increasing conversions. Many email marketing tools include this feature and automate a lot of the process and reporting for you so that you can analyze and improve your copy. If you are spending money on a copywriter to write your emails, work out how much you are spending compared to how much money the emails make in sales to get a rough idea about the ROI. Of course, it’s not always that simple. If you get lots of initial sales but then people start unsubscribing because they don’t like the emails, has it really been worth it? And what if you are not selling via your emails but focusing more on relationship building? This is where things get a bit more confusing. However, there are ways to measure email content ROI; they will just vary depending on the focus of your email. Check out this useful post for more information. 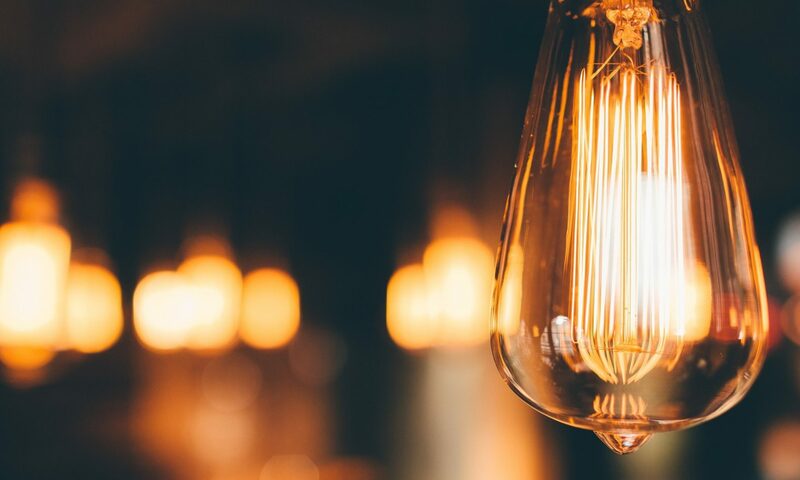 Customer feedback helps you to discover which elements of your site and marketing efforts are well-received and making a positive impact on your audience. It will also let you know which areas of your copy need improvement — such as parts that consumers find confusing or larger issues, such as copy tone that doesn’t resonate. Even general feelings that customers have toward your brand can be signs that your copy is not convincing customers or generating enough engagement. There are various ways you can get this feedback: You can use online survey tools like SurveyMonkey, focus groups, social media feedback, or email questionnaires, to name a few. The important thing is that you act on the opinions of your customers; this is how you will improve your copywriting ROI and, ultimately, win over more of your market. Another way to work out the ROI of your copy and improve it is to test various copywriters. Let’s say you are running an AdWords campaign and you hire three different writers to create the ad copy. When you run the ads, you may find that one writer’s copy outperforms the others every time. It would usually make sense to keep working with that writer, but it also depends on their price. If they charge five times as much, you have to work out whether the return is worth it. 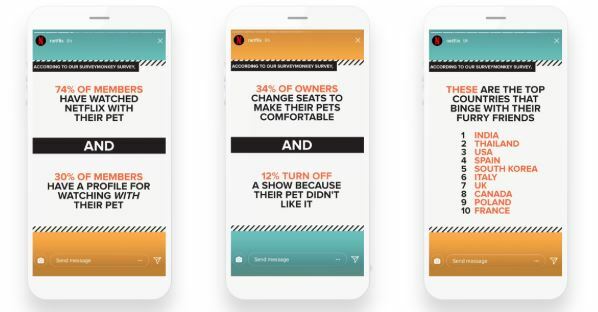 Cardinal Path has created a handy ad testing tool that may help you track ad copywriting ROI, but ad performance will also depend on segmentation and how you’ve set up your campaigns. Copy is just one part of it. Remember that any copy you use — whether it is on your website, in social media posts, or in emails — is supposed to represent your brand voice and tone. Ultimately, this will impact how people perceive your brand and whether they choose to use your business. A good copywriter who gets your brand voice spot on can be incredibly valuable even if you cannot work out the exact ROI from their activity. 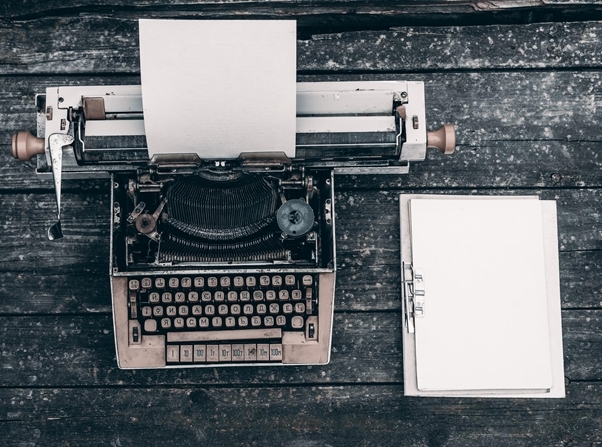 If you hire a copywriter to write for your website or blog, you’ll quickly be able to tell if the copy style aligns with your brand values and tone of voice. This is really important and an easy way — although maybe not easily quantifiable — of boosting your ROI. Visitors to your site need to have a clear concept of what your company does or sells, as well as what your values are. If you don’t make this clear from the second they click on your page and start reading, prospects will quickly leave in search of something better. As an exercise, review stores and see if you can quickly establish what their product is and how their website copy serves to highlight the product and represent their brand values. This is something you should always be aware of when tweaking the copy on your site — your messaging needs to be direct, offer value, and conform to overall brand values. Seeing how other brands do it (especially ones reliant on organic and targeted PPC traffic) should give you valuable tips on what works (and what doesn’t). Although it might be hard to measure the sales you make as a direct result of your copy, you can still keep a close eye on your analytics as you change content around your site. Use Google Analytics or a similar tool to check out how long people are spending on your site. This is a key metric that shows they are engaging with your content. It might not translate directly into sales, but that doesn’t matter. If you hire a writer to create blogs for your site, you want people to engage — and this is one way to find that out. Remember that you can also use split testing to optimize your landing pages and social media posts in the same way that you would with email marketing. Test two different versions of your page with different copy in each to find out which is more effective and should be used in the future. Something worth considering when you hire a copywriter is the time they free up in your work day. A professional copywriter will save you valuable time, and — if they are doing their job properly — write much better content much faster than you would. As a business owner, you know that you need good copy for your website and marketing efforts and that somebody needs to write it. It seems logical to outsource this to an external writer who can use their knowledge and skills to perfect copy for your brand. This could save you many hours of writing — hours that you could be spending forging connections with new clients, improving the customer experience, making sales, and keeping your business running. While ROI can be hard to measure for any creative task, you should always consider it when hiring a writer. Ask yourself how much it’s going to help your business and boost your sales. Where possible, test your own copy against a professional copywriter and test different copywriters against each other. Employing a writer may seem like an unnecessary expense, but don’t forget this can also free up your time — time that you can spend on other tasks directly related to increasing your bottom line. I’m a huge fan of using industry stats and data from credible sources to build trust. I use this technique often when I write for my clients. Why? Because content that contains relevant data is proven to build trust with your readers. In fact, not using data can make it much less effective. 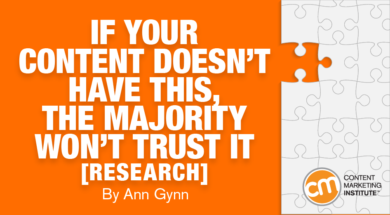 “If your content doesn’t include data, it is less likely to be trusted, persuasive, or even read,” writes Ann Gynn in Content Marketing Institute. Gynn cites data from Survey Monkey that shows 75% of adults say content that includes data is more trustworthy than content that doesn’t. Thanks to easy DIY graphics programs like Canva, your data doesn’t have to be dry. Infographics and other visual representations can add punch, or you can pull images directly from cited sources — just make sure you give them proper credit. Whether you create your own research, or use industry sources, having solid data in your content will raise your credibility and build reader trust. And I’m 100% behind that idea. 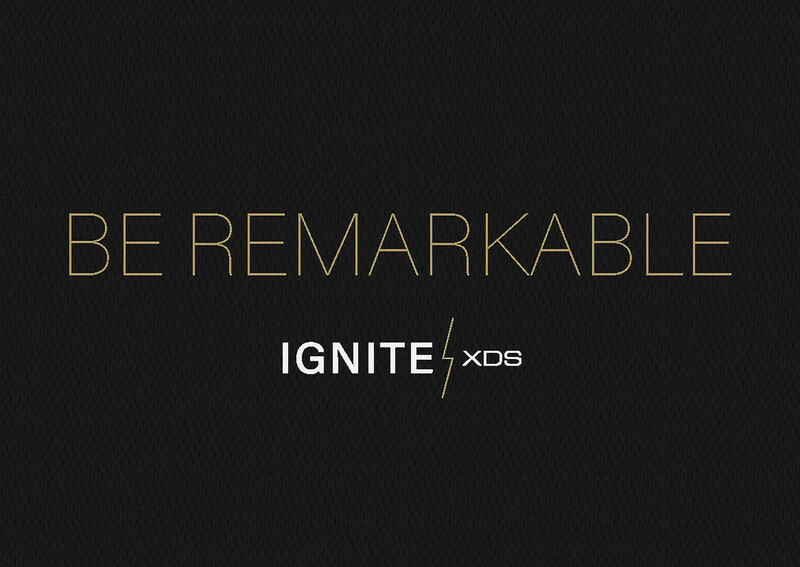 I had to share this fantastic thought piece from Mitch Lipon, founder of marketing agency Ignite XDS. His take on marketing is beyond fresh; it cuts right to the core. Presented in full below, with his permission. Enjoy. It seems like the world around us is moving faster than ever. People have neither the time, nor the desire to invest what it would take to become familiar with the details of what you offer them. At least, not in the beginning. That being said, if you are willing to share your deepest beliefs – the reasons your company was founded in the first place, the real value you offer the market…you might get them to take a few seconds to pause and notice you. Consider Nike, one of the world’s most iconic Brands. Nike is actually nothing more than a commodity shoe manufacturer. There are plenty of shoe manufacturers in the world, and there are even many direct competitors in the athletic segment of their market. Nike however, stands head and shoulders above them all. But if you look at their marketing strategy you will notice they rarely, if ever, talk about shoes. Instead, they associate with great athletes, doing great things. They associate with the average person accomplishing personal goals. They associate with the challenge, the joy, and the pride of athletics. And they help you imagine you could be there. In the arena, on the podium, feeling the sense of victory and accomplishment. They tell you to Just Do It! Simply put; getting your Brand noticed is not about describing the details, the how’s, and the what’s…It’s about sharing the values you hold most dear. Initial consumer reactions are always emotionally controlled. Your core values will tap into that emotion when your details will simply skip off the intended target. Know the details will certainly come into play eventually, if you really think about it for a second, just how exciting can a specifications sheet be after all? Doesn’t the prospect have to buy in first before the details really matter? It’s always hard to open up. It’s hard to deviate from the way we’ve always done it. It’s hard to leave the details of what you do, and how you do it for a later time. But really, you have no choice. For it’s the Brands that give consumers something to attach themselves to, that will rush to the front of the line. They will “go viral”, and their vitality will become contagious, within their organization and the community. Success will come to the companies who dare to be real, who aren’t afraid to share their core beliefs, personally, and up front. If you believe as I do that the most dangerous place in the world, is the one where you play it safe and blend in, you really have no other choice. Market your Core Beliefs!